There's always been a story to tell at Tunnels Beaches. 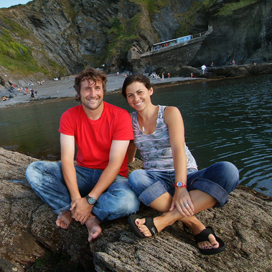 In the past, about the interesting and often hilarious history, and in recent years, about the site's rejuvenation under the stewardship of Jamie and Zoe. 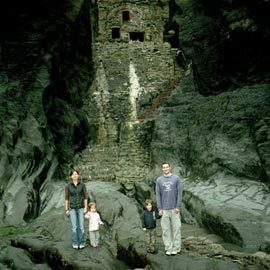 We designed and built a contemporary bespoke Wedding Venue through the tunnels and nestled under the cliffs. Kevin McCloud would've been in his element watching us struggle to crane materials over the 100ft cliffs above! Weddings took off immediately and we are getting bookings 3 years in advance!! We held 150 weddings in 2013 including 29 weddings within 31 days of August and 26 weddings during October! We now average around 130 weddings from March to the end of October. Another recent project (completed March 2013) was the conversion of the 'Bath House"... Dating from 1836, this grand building is located at the entrance to Tunnels Beaches. We have completely renovated (over an 18 month period) it back to it's former glory and into more luxurious holiday accommodation for our wedding guests (& non wedding guests)! Our most recent project (Winter 2016) was the extension of our Wedding Venue... adding additional WOW factor & increasing our capacity to 120 day guests & 160 eve guests. We have other additional accommodation developments currently in the planning stage so watch this space! 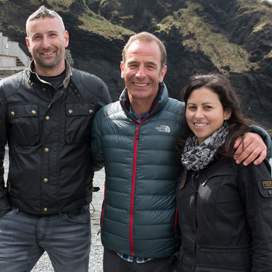 We've already been featured in numerous national and regional newspapers, magazines, radio and national television programmes including BBC TV 'Coast' & in 2017 - 'ITV 'Tales From the Coast with Robson Green', but there's always a new angle!